During the holiday season, running a business can be stressful. But, it’s also one of the most profitable parts of the year. At AdGraphics, we know that success during the holiday season can make all the difference for many businesses of all shapes and sizes. But, there are many different schools of thought in regards to getting the most customers through the door. Word of mouth, print advertisements and even radio ads can help. But the easiest advertising method is one that can reward your business year-round, and that’s car and truck wrapping in Pompano Beach! At AdGraphics, we create the best vehicle wraps in Pompano Beach, and these wraps are the perfect last minute gift for your business this holiday season. Whether you’re driving a simple company sedan or a huge RV, you need the right branding to get the right attention for your business on the road. With a custom vehicle wrap from our team at AdGraphics, you can rest assured that your vehicle is spreading the message of your business across all the South Florida traffic. With a vehicle wrap from our experts at AdGraphics, you’re sure to ensure that everyone is catching sight of your business’s message. These vehicle wraps can help bring extra business through your door this holiday season, and even year-round. 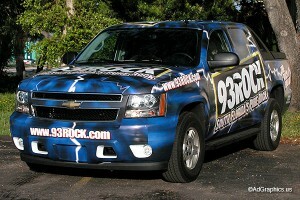 Perhaps best of all, the car and truck wrapping in Pompano Beach we offer at AdGraphics is designed to last. This means that our high quality vehicle wraps in Pompano Beach can bring benefits of increased awareness and traffic to your business for many holidays to come. So, before the holiday season is up, make sure to take advantage of the expert wraps we offer at AdGraphics. PreviousPrevious post:Watch the Best Bus Wrap Company in South Florida at Work!NextNext post:Have You Discovered the Difference of Custom Car Wraps?